Dr. Berit Brogaard has written since 1999 for publications such as "Journal of Biological Chemistry," "Journal of Medicine and Philosophy" and "Biology and Philosophy." In her academic research, she specializes in brain disorders, brain intervention and emotional regulation. She has a Master of Science in neuroscience from University of Copenhagen and a Ph.D. in philosophy from State University of New York at Buffalo. The ketogenic diet is a high-fat, moderate-protein and low-carbohydrate diet used to treat epileptic seizures in patients who do not respond well to conventional approaches. A modified version of the diet can be used as a weight-loss diet. Studies indicate that the original ketogenic diet can initiate a heart condition, whereas the weight-loss version reduces the risk factors for heart disease. This suggests that overweight individuals with heart failure may benefit from following the weight-loss version of the ketogenic diet. Following the original diet, however, could present a risk for heart patients. R.M. Wilders, M.D., originated the ketogenic diet in the 1920s as a cure of seizures in children with epilepsy. The diet fell out of favor when more conventional medicines entered the commercial market. However, epilepsy centers, such as the Johns Hopkins Ketogenic Center, still use the diet to treat epilepsy in individuals who get no relief from standard approaches. The diet provides 10 to 15 g of carbohydrates a day and 1 g of protein per kilogram of body weight a day. The rest of the calories come from fat. The diet is not intended as a weight-loss diet; it supplies all the calories needed to sustain current body weight. The diet works by depleting the body's stores of glycogen, a stored form of sugar, thereby forcing it to burn fat to supply energy for the cells. The brain cannot metabolize fat. When glucose, or blood sugar, is limited it metabolizes a waste product of fat metabolism called ketone bodies. Ketone bodies are a more compact fuel compared to glucose. So more cell engines, or mitochondria, are needed to metabolize them. The additional mitochondria in neurons have a stabilizing effect on the brain, which can prevent seizure. There are many weight-loss versions of the ketogenic diet. Very low-carbohydrate diets are based on the same principles as the ketogenic diet but are intended for weight loss. They allow a higher intake of carbohydrate than a ketone diet and do not limit fat and protein. In the induction phase, the diet allows 20 g of carbohydrates. In later phases, up to 100 grams are allowed as long as weight loss continues. The diet works by replacing most carbohydrates with fat and protein. The latter nutrients are more filling than most carbohydrates. So consuming foods high in these nutrients can lead to a natural reduction of portion sizes and total calories consumed. Studies published in the June 2000 issue of "Neurology" and the August 2003 issue of "Journal of the American Medical Association" show that the original ketogenic diet can initiate heart conditions in children. Despite this adverse effect, the researchers believe that the diet is valuable for treating epilepsy. The diet is temporary. Epileptics follow it only for two years. Those who respond remain seizure-free when they return to a normal, healthy diet after that time period. However, a different anti-seizure treatment may be a safer option for children with an existing heart condition or heart failure. Studies of obese individuals following a ketogenic diet show a different outcome. According to a study in the fall 2004 issue of "Experimental & Clinical Cardiology," a ketogenic weight-loss diet can decrease the risks for heart disease in obese individudals. It is unclear why the original ketogenic diet and the weight-loss version have different effects on cardiac health. Obesity could be a greater risk factor for heart disease than a high-fat diet. Alternatively, the lower calorie content in the weight-loss diet could prevent the dietary fat from negatively affecting the heart. Whatever the explanation, it is clear that a ketogenic weight-loss diet may be beneficial for obese individuals. 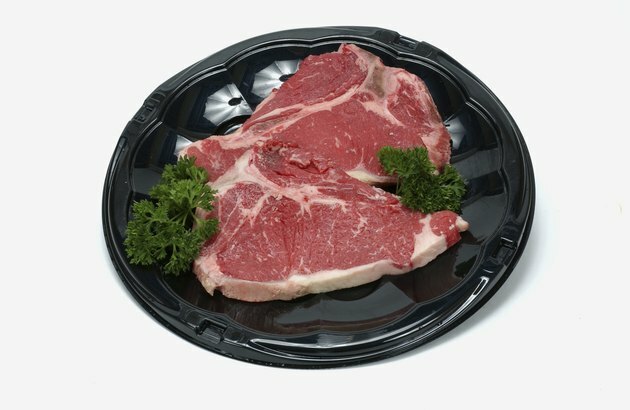 MayoClinic.com: Atkins Diet: What's Behind the Claims? Does a Ketogenic Diet Increase Your Testosterone?